Join us as we present Doggy Noses & Yoga Poses at Love City Brewing Company to benefit local Philly adoptables! You do the yoga while the pups do the cuddles! 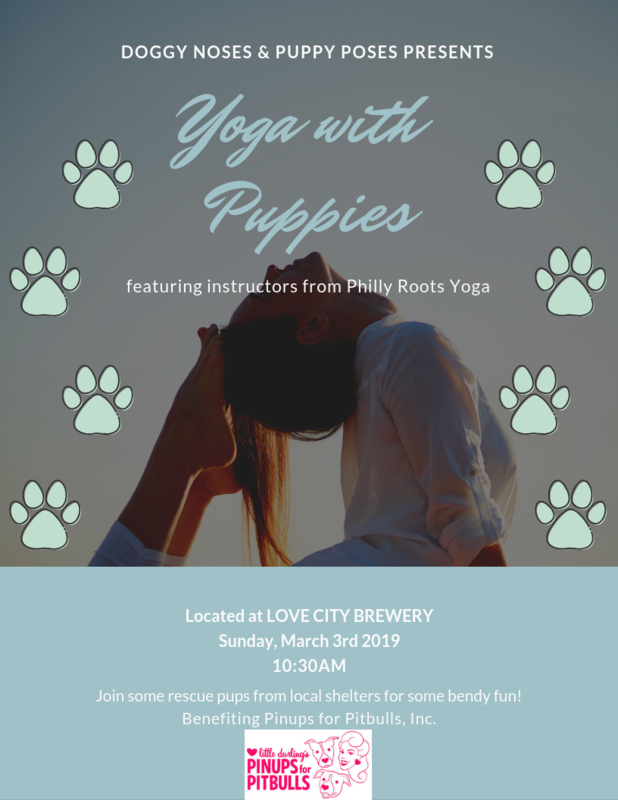 Adorable ADOPTABLE puppies and dogs will be allowed to ROAM FREELY and interact with you during this one-hour mixed level yoga class featuring Roots Philly Yoga instructors, so be prepared to get puppy kisses! Afterwards, chat with Philadelphia-area Pinups about ending breed discrimination, and pick up your autographed 2019 calendar!